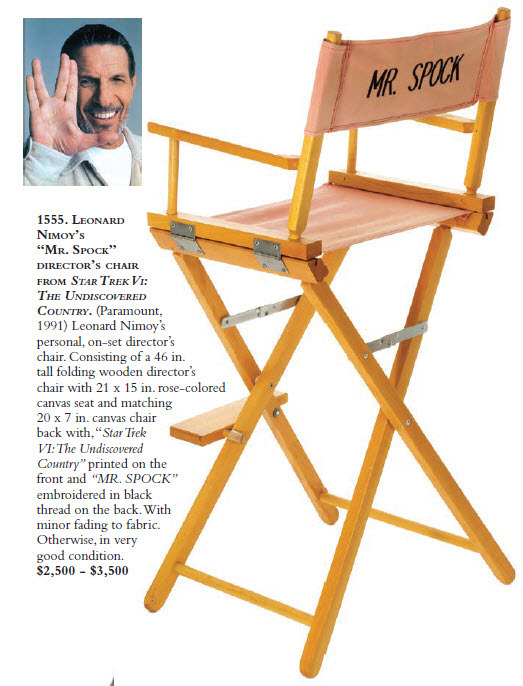 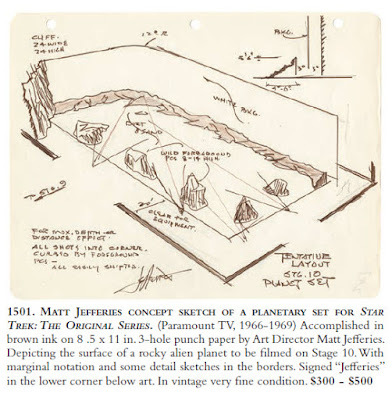 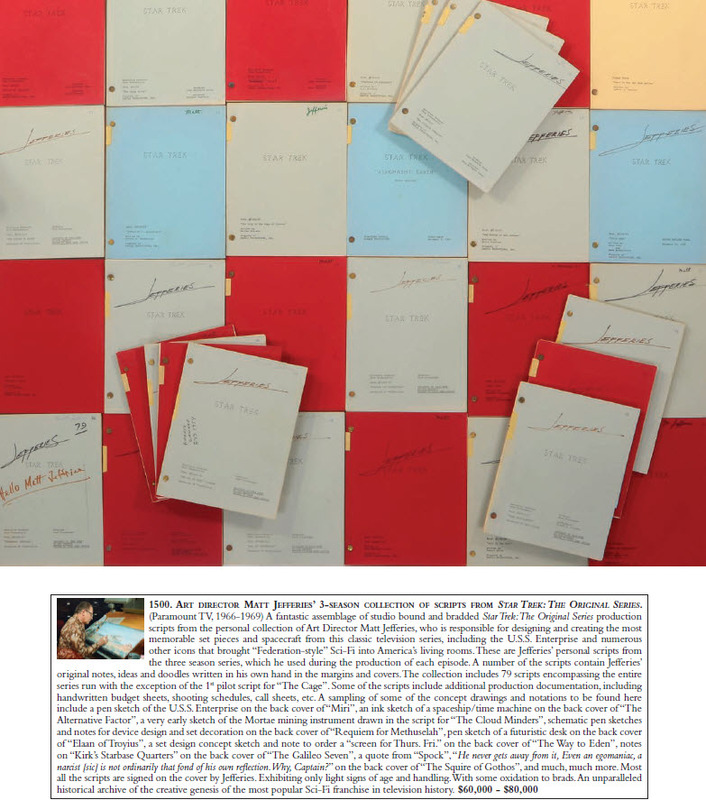 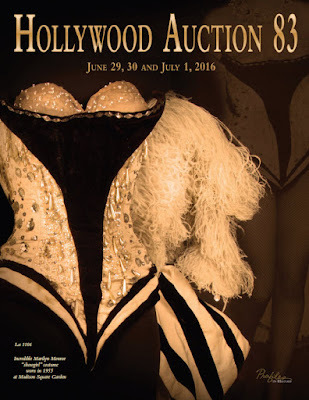 On Friday, July 1st at 11:00 am PST, Day 3 of Profiles In History's "Hollywood Auction 83" will commence at Profiles headquarters in Calabasas, CA. 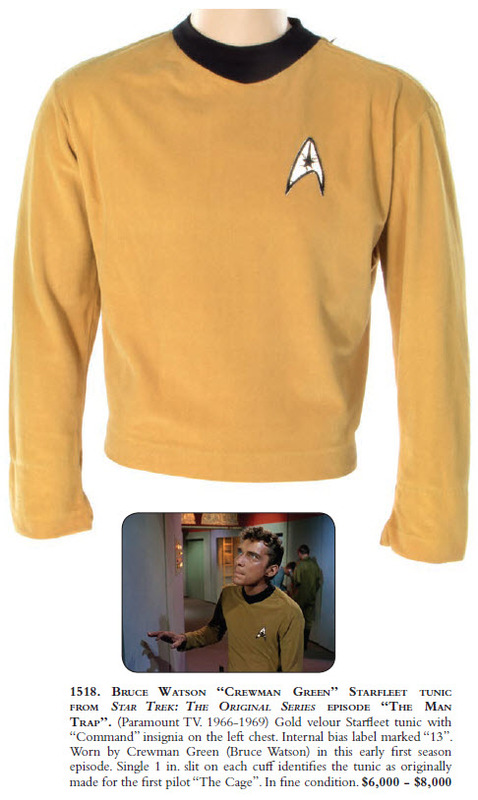 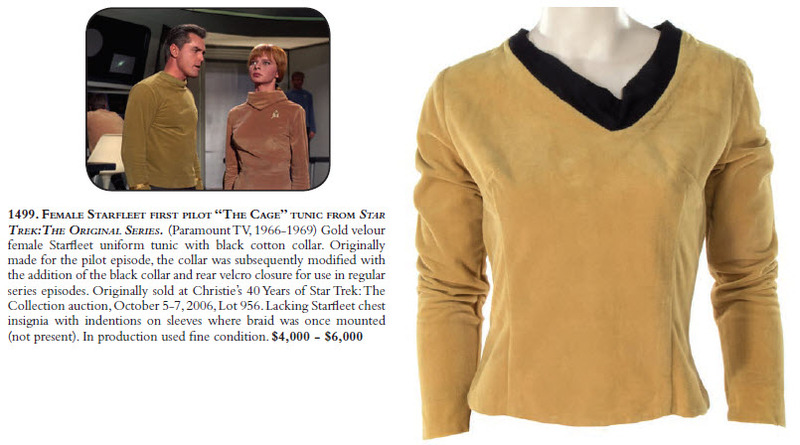 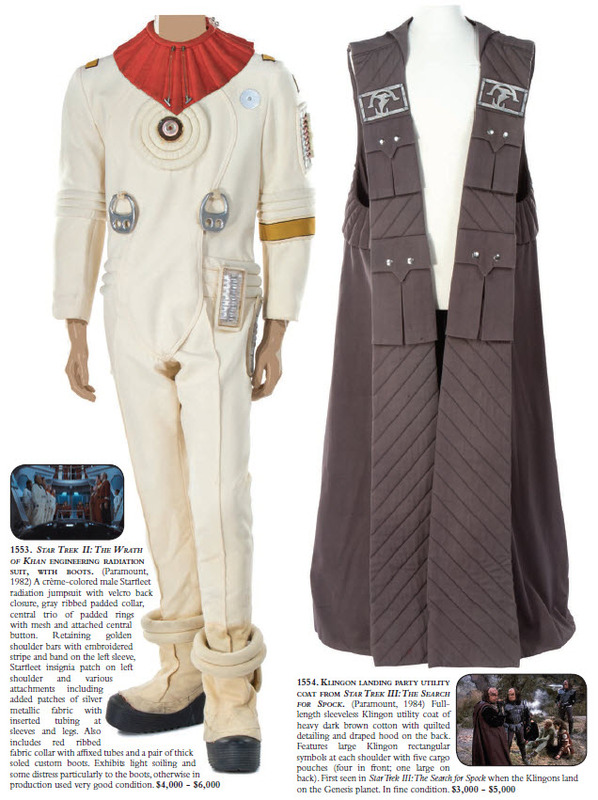 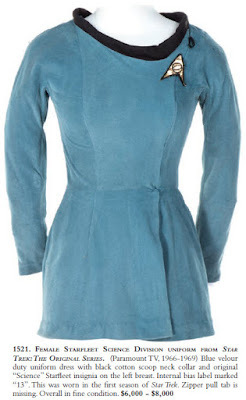 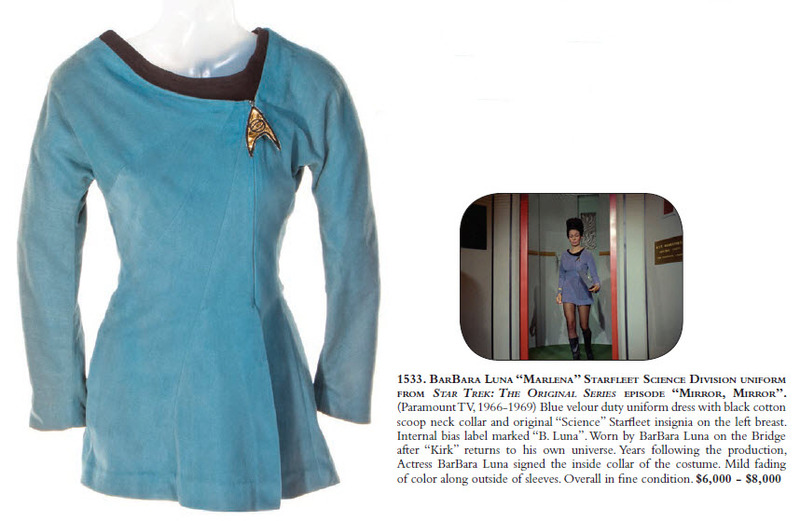 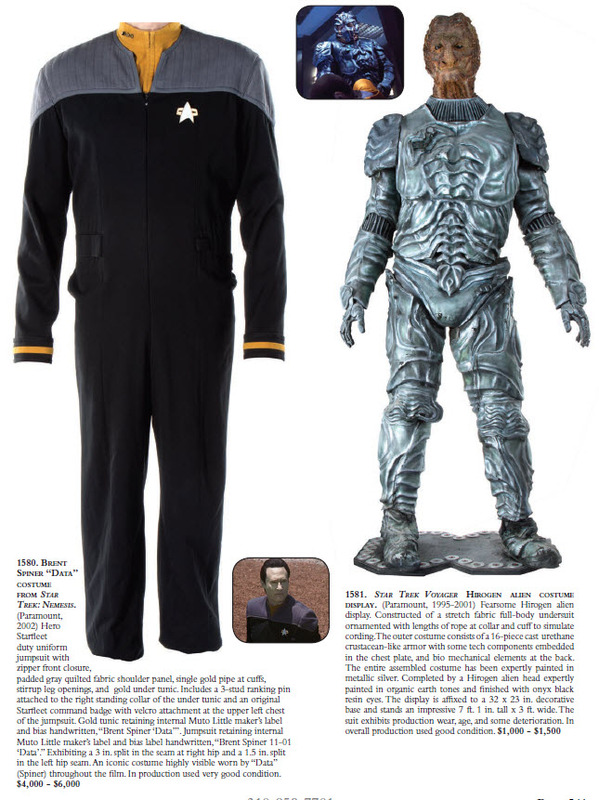 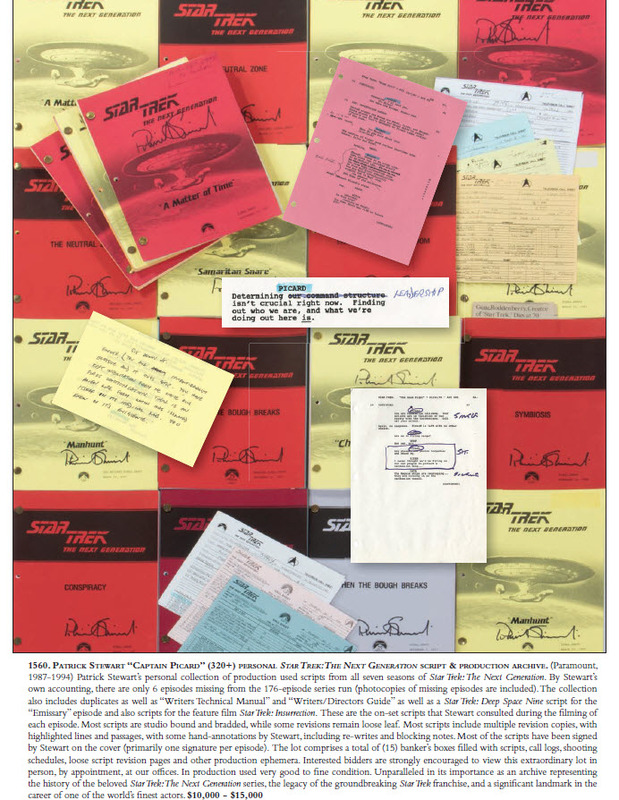 A total of 99 lots of Star Trek memorabilia will be featured in the sale; highlighted by a monumental offering of 50 lots Original Series props, costumes and production artifacts - representing one of the finest collections of TOS screen used material to come to auction ever! 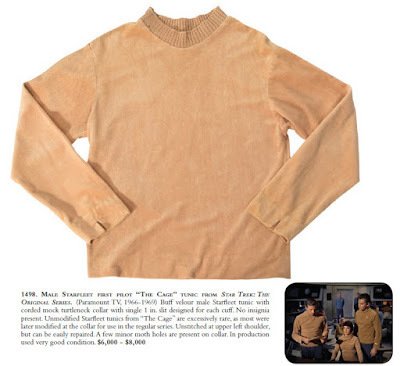 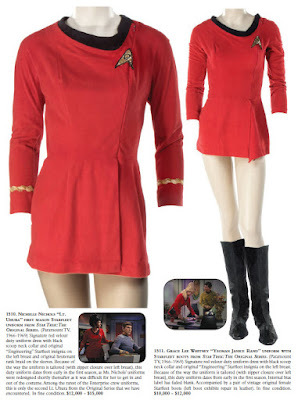 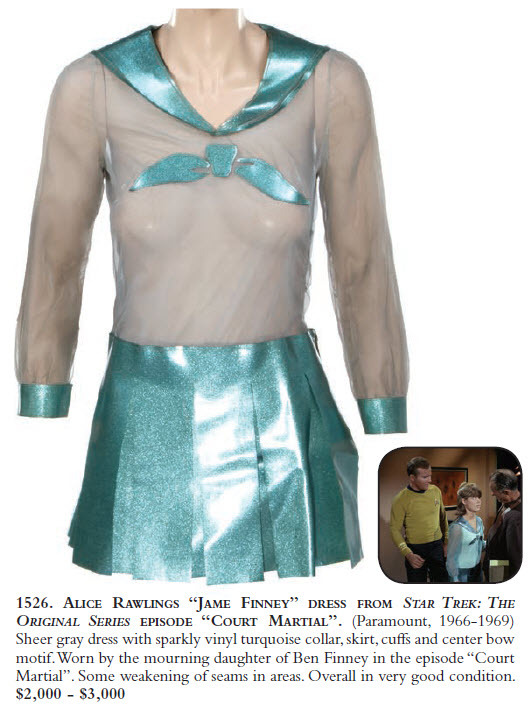 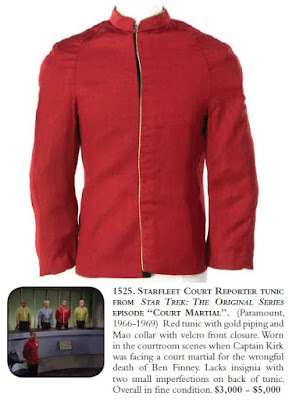 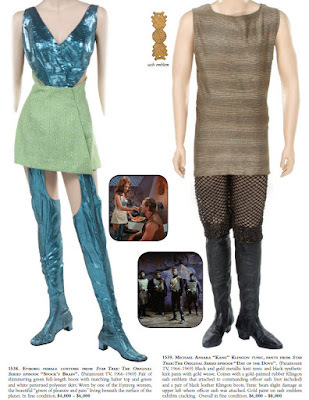 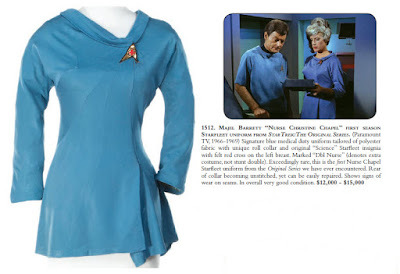 Included in this event are the Original Series Starfleet uniforms of Kirk, Spock, Uhura, Rand, Chekov and Nurse Chapel from the recurring cast; as well as guest star costume pieces worn by BarBara Luna as Lt. Marlena Moreau in "Mirror, Mirror"; Bruce Watson as Crewman Green in "The Man Trap"; Bruce Mars as Finnegan in "Shore Leave", Richard Webb as Lt. 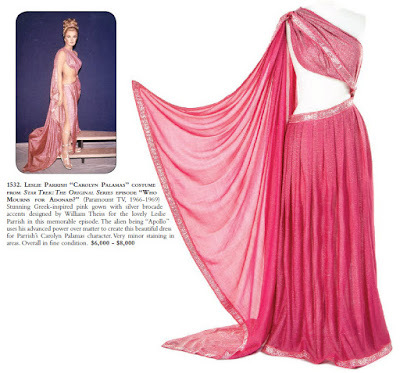 Commander Ben Finney in "Court Martial", Leslie Parrish's beautiful pink grecian style gown from "Who Mourns for Adonais? 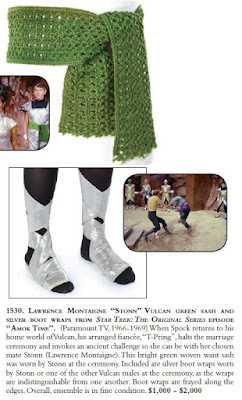 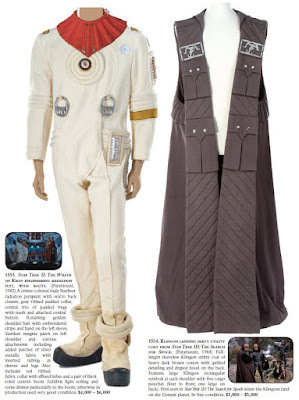 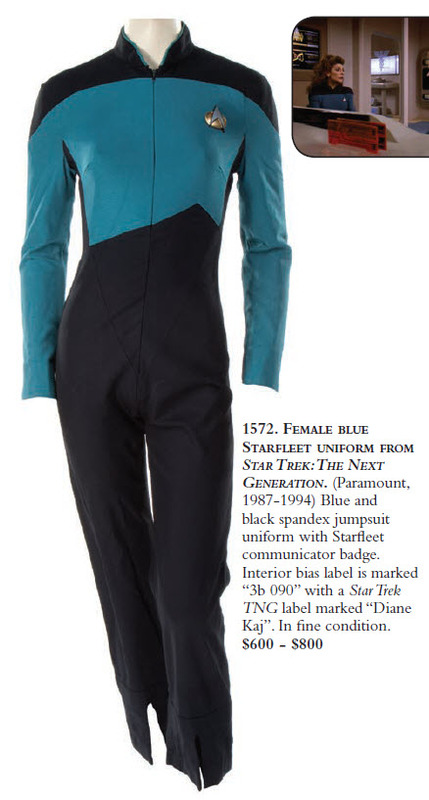 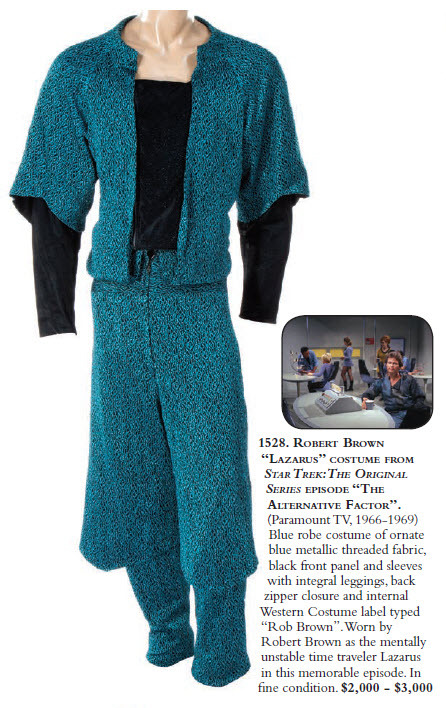 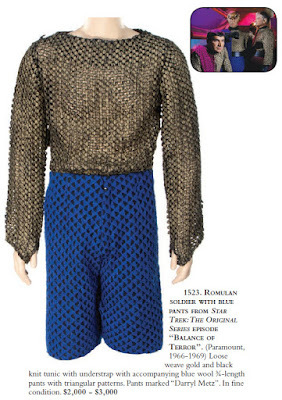 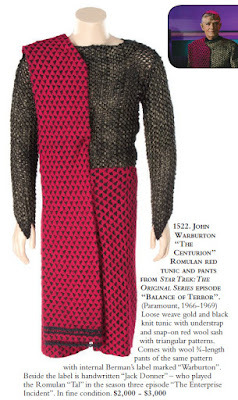 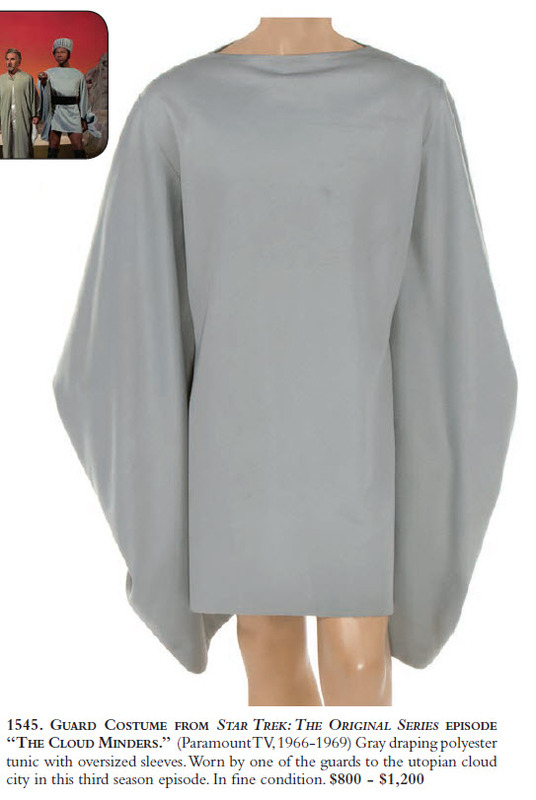 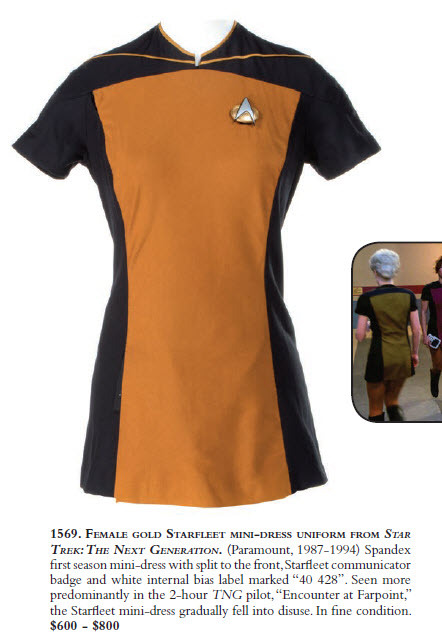 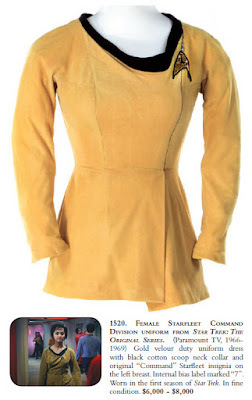 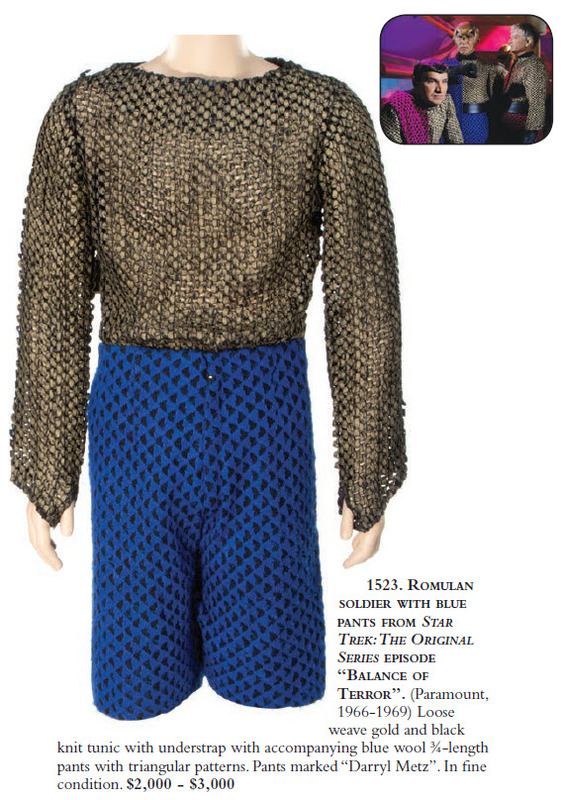 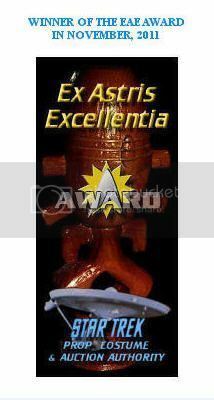 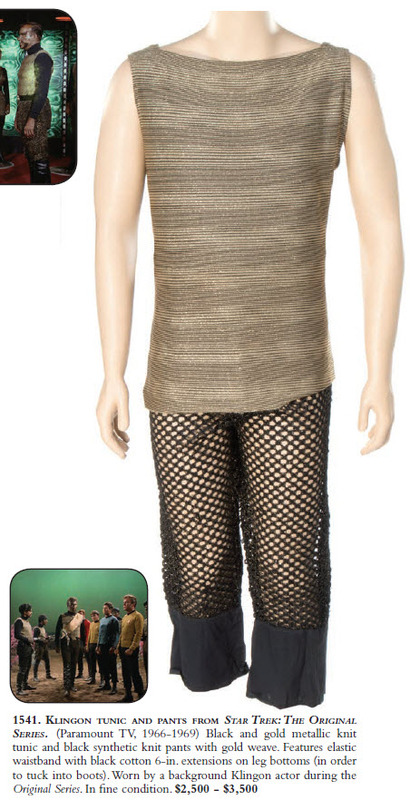 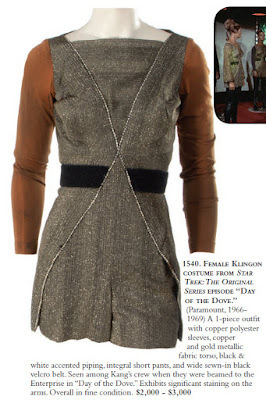 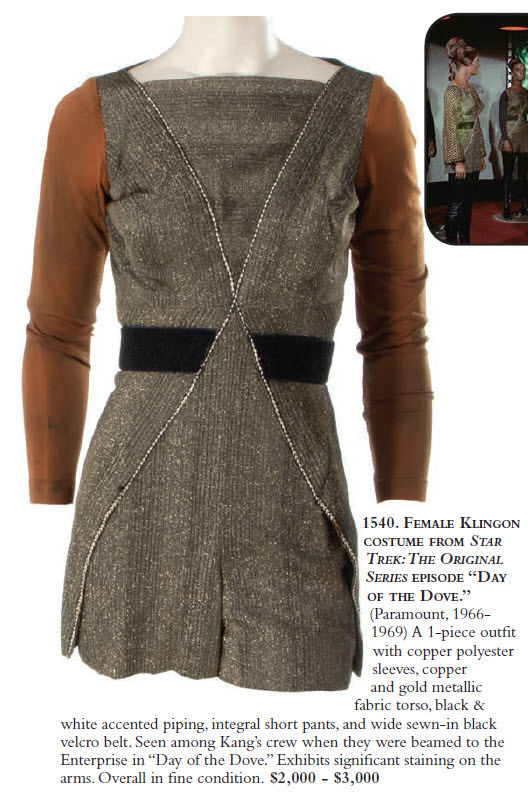 ", Klingon and Romulan uniforms, and on and on and on!!! 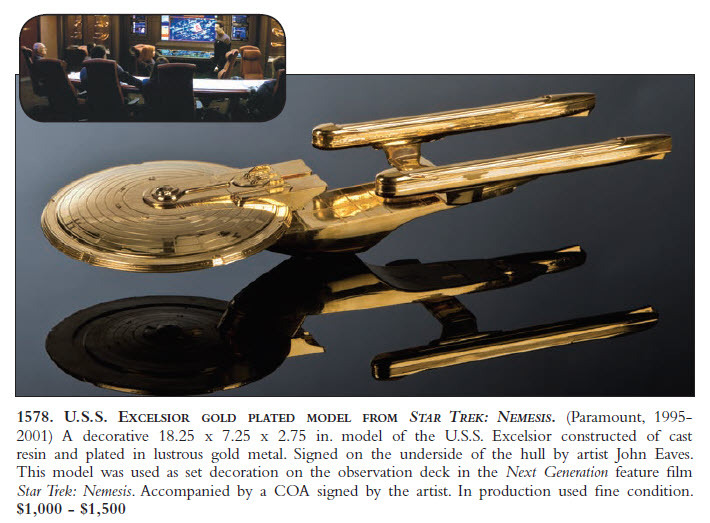 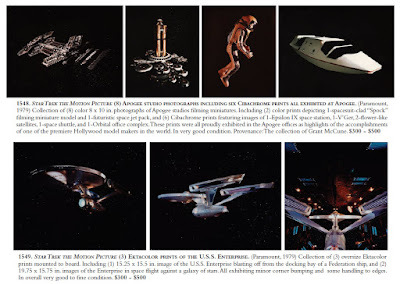 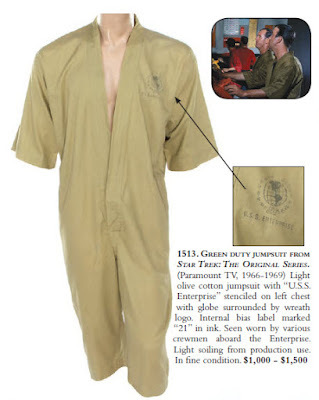 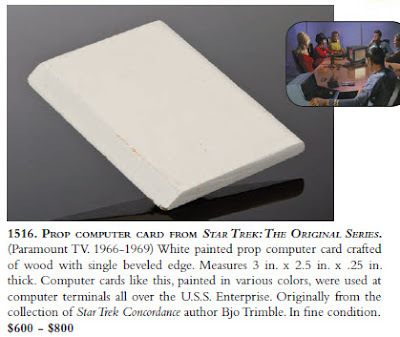 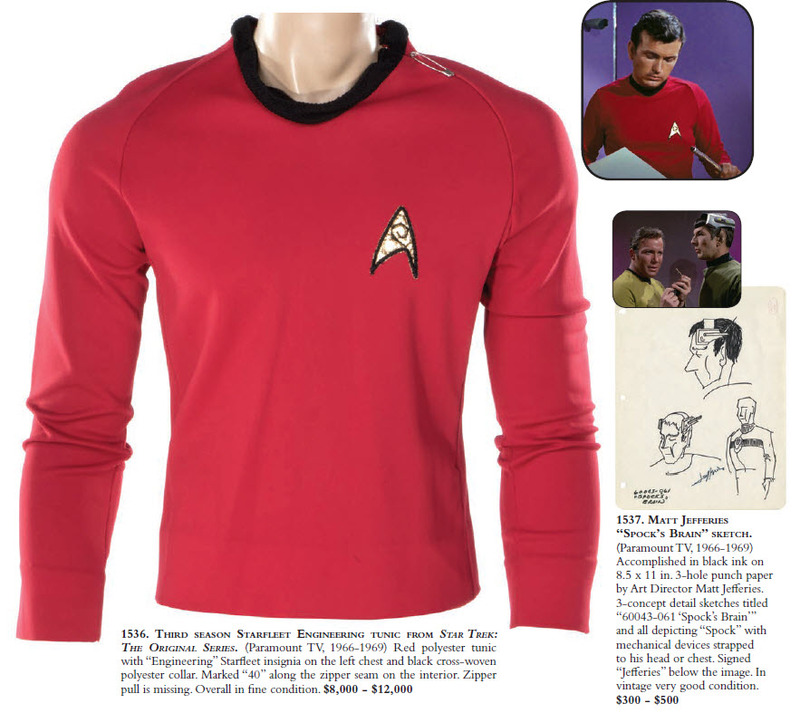 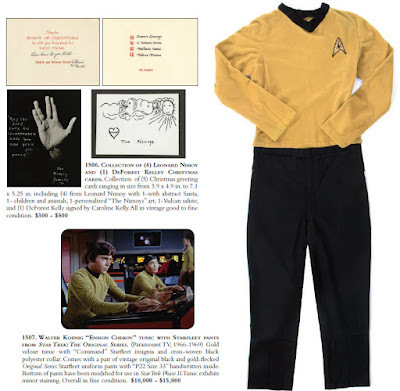 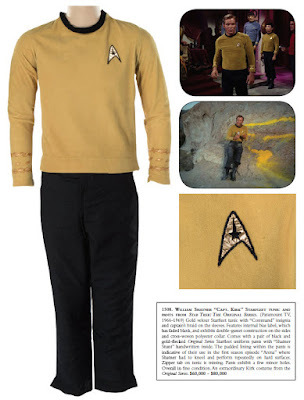 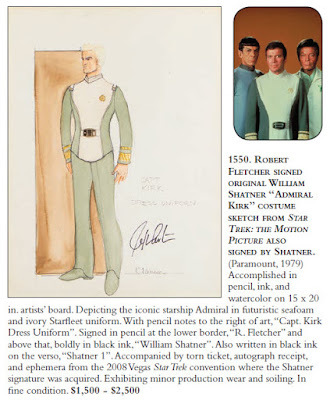 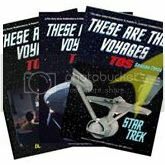 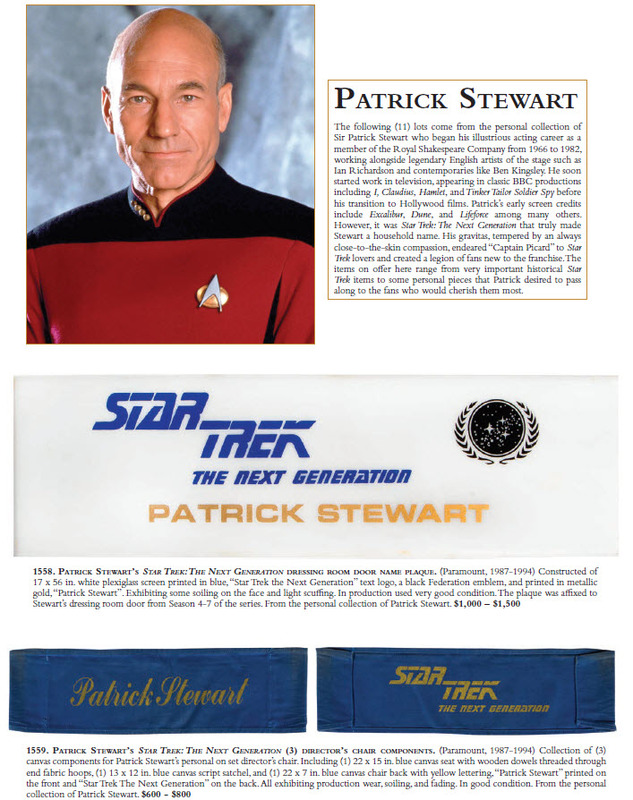 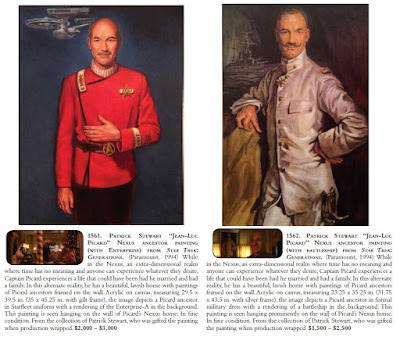 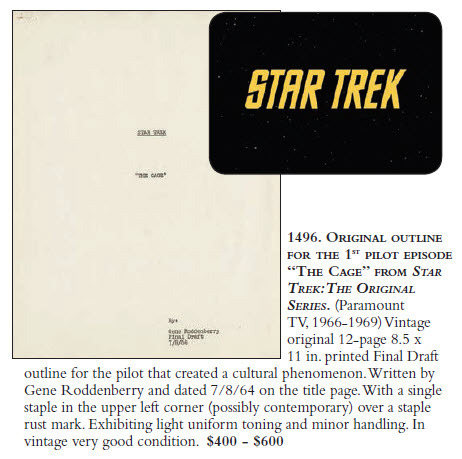 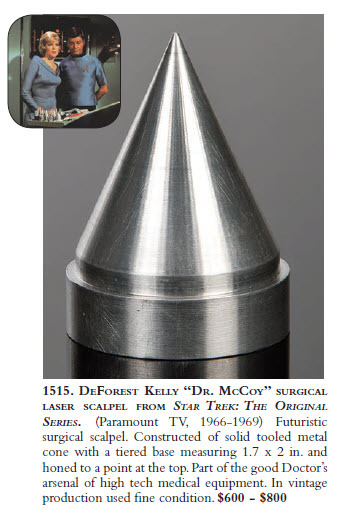 Aside from this historic TOS offering, there is a very impressive presentation of items from across the franchise, including a few personally owned items consigned by Patrick Stewart as well as some exciting hand props from the TOS cast motion pictures. 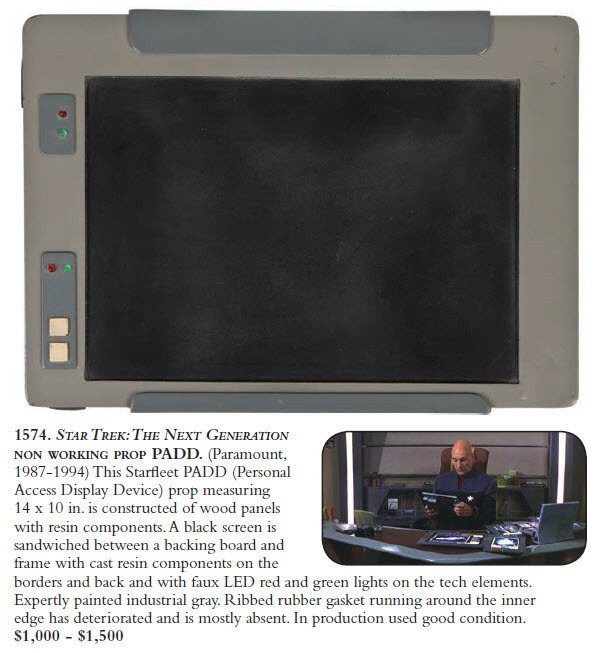 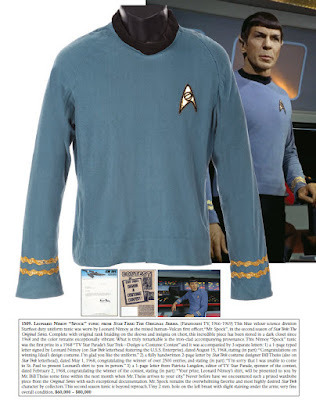 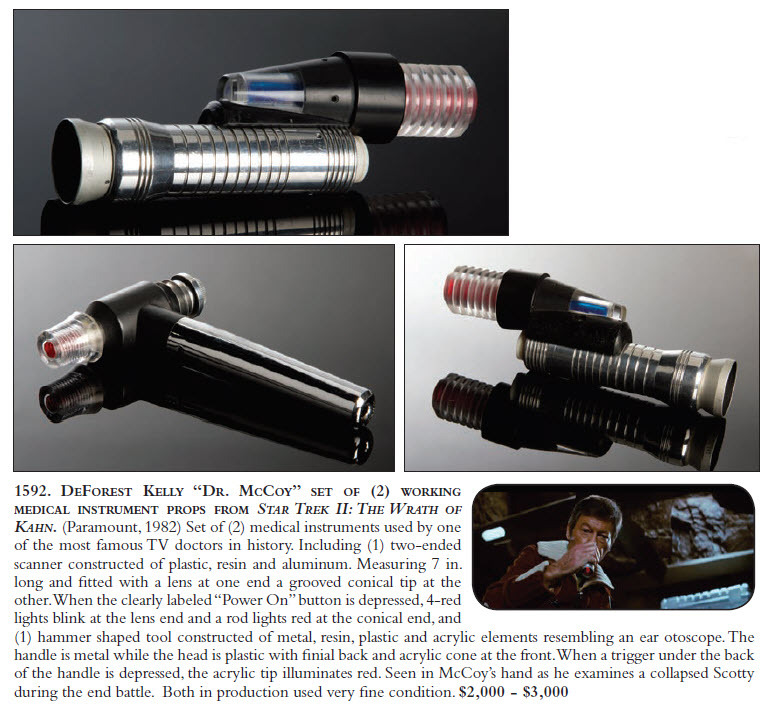 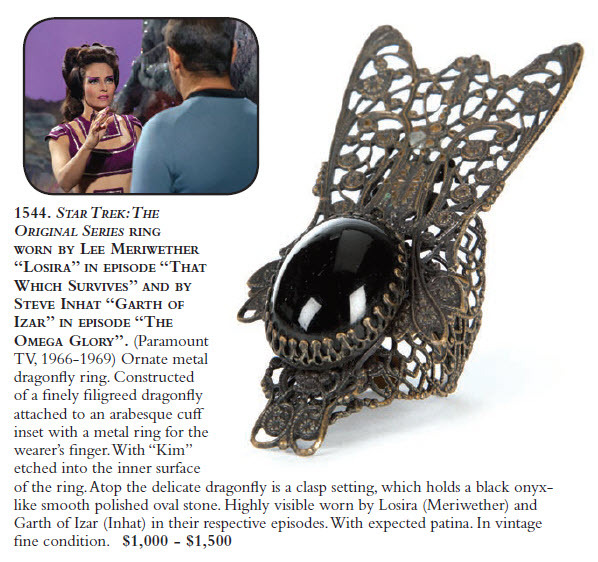 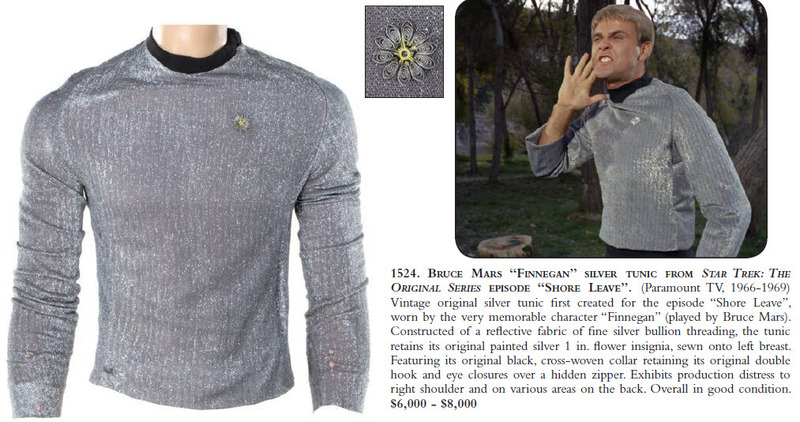 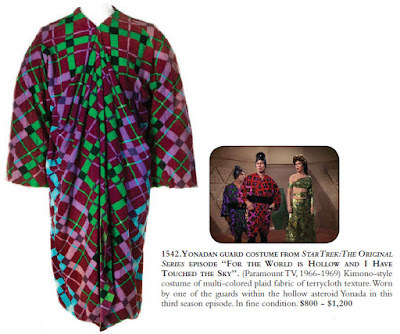 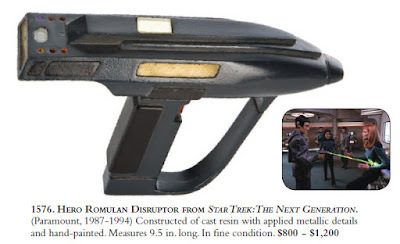 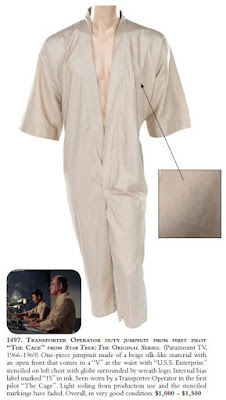 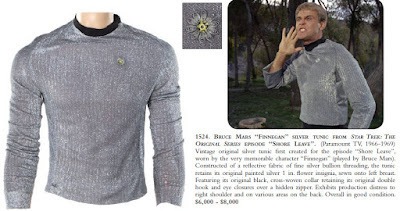 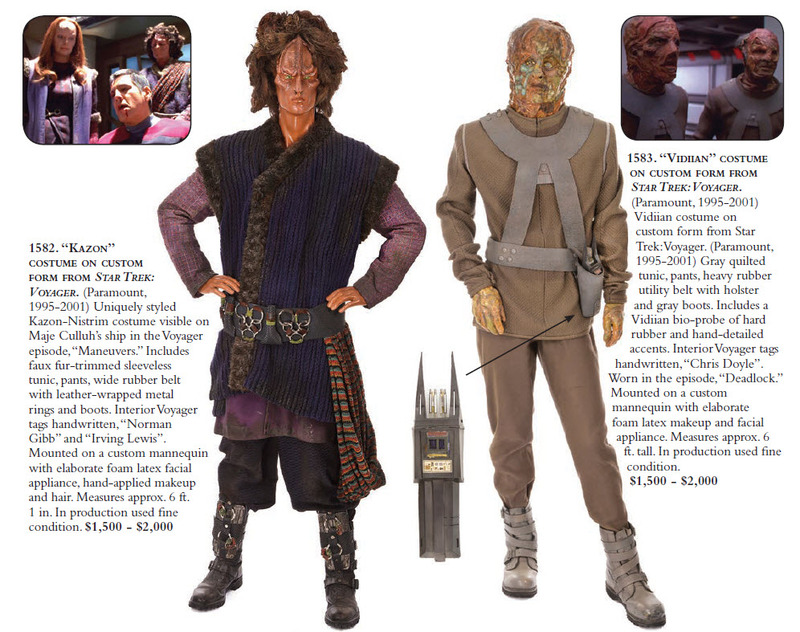 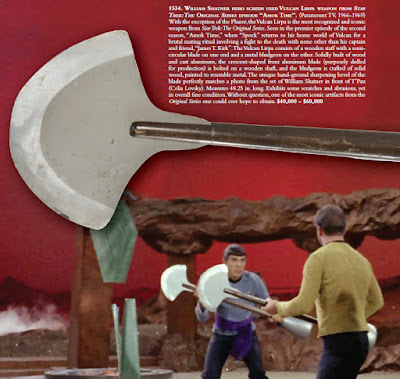 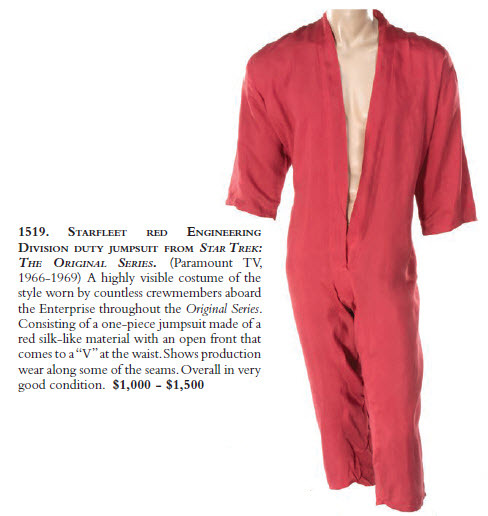 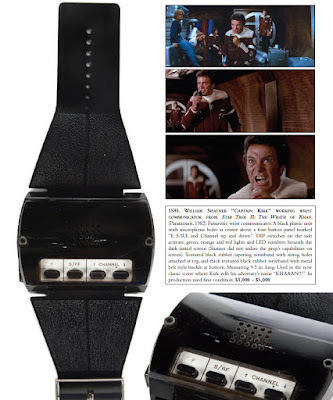 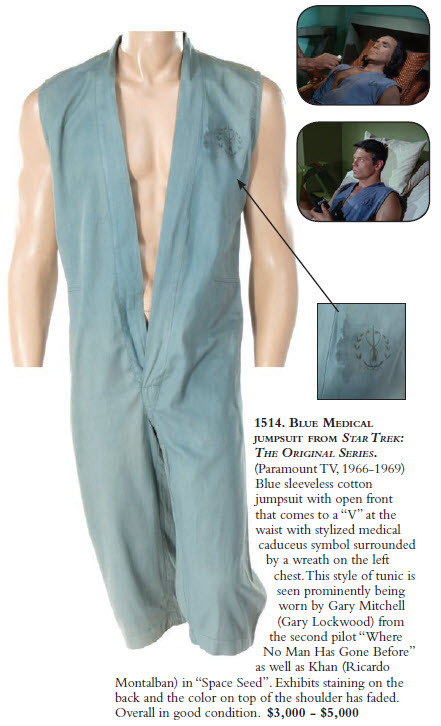 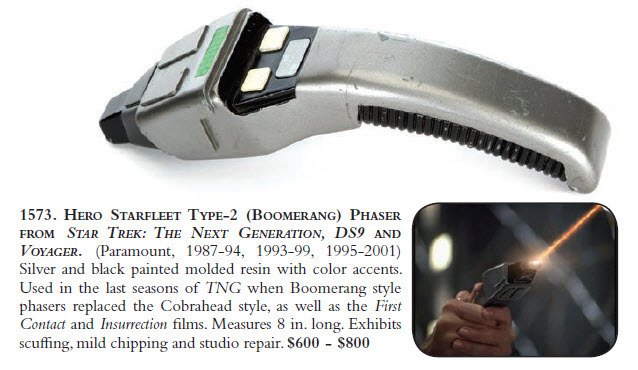 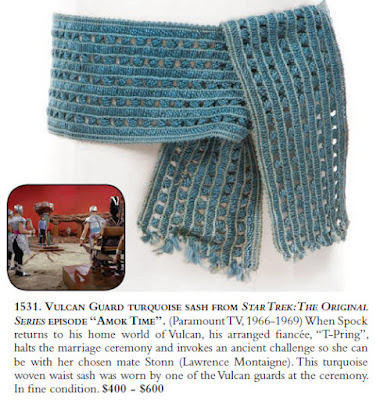 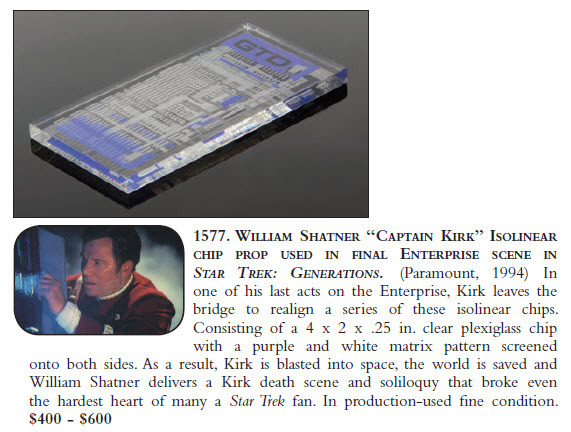 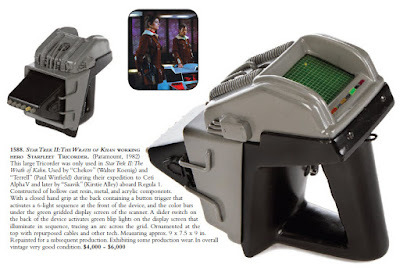 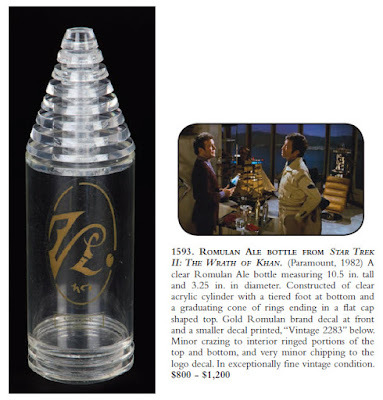 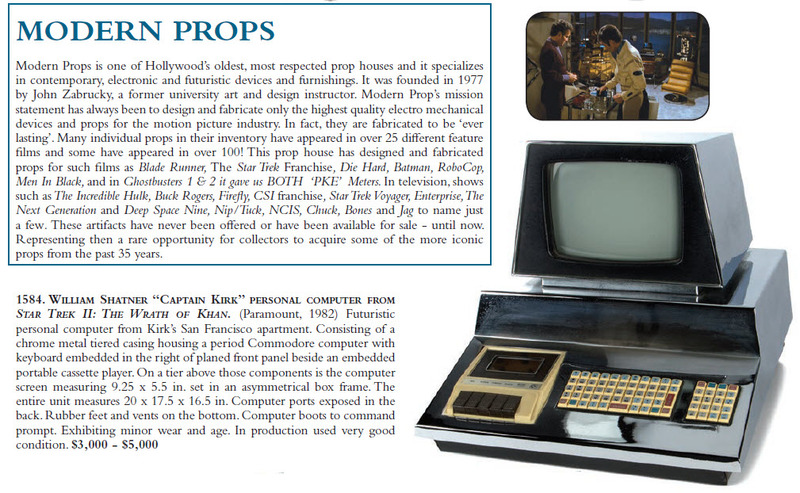 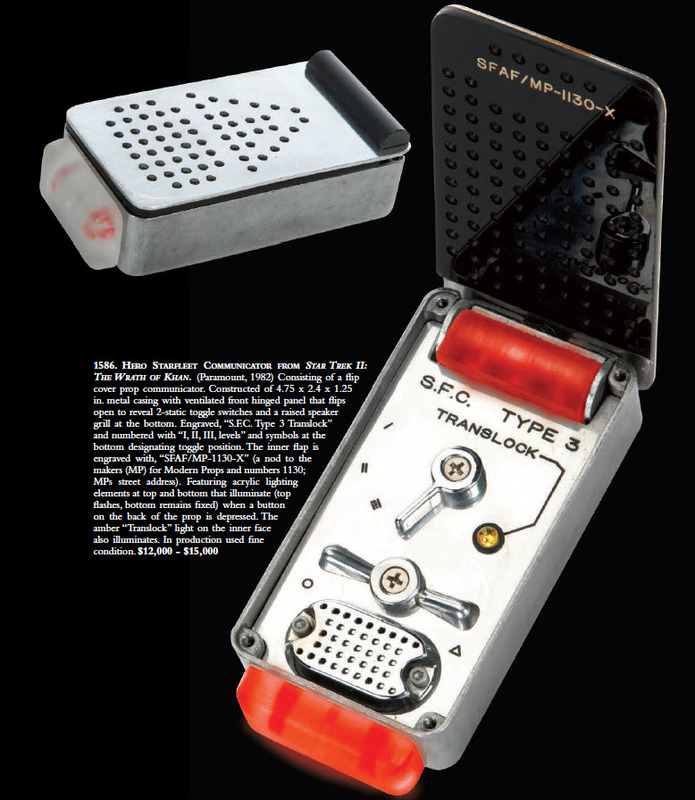 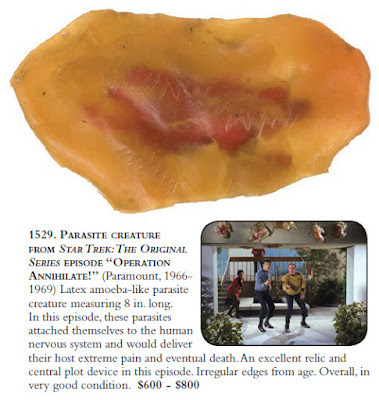 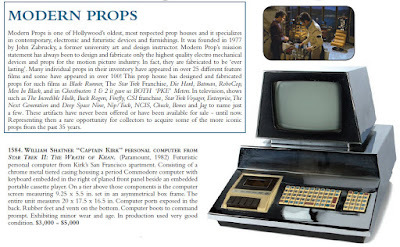 The most expensive Star Trek prop to be offered in Auction 83 is William Shatner's hero screen used Vulcan Lirpa from the Original Series episode "Amok Time", with a bid estimate of $40,000 to $60,000.